At the Encana Events Centre we strive to accommodate accessibility needs whenever possible. There is designated parking, seating within the facility, washrooms, as well as an elevator available for use. We ask that anyone with accessibility needs wishing to purchase tickets to an event contacts our box office at 250-782-7440 to speak with a representative or fill out an accessible seating form to ensure the best possible experience. The Encana Events Centre is located at #1 - 300 Highway 2, Dawson Creek, British Columbia V1G 0A4. 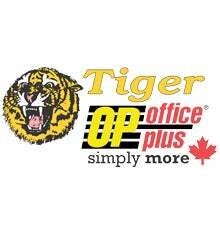 Our administrative opffice is located at #1 - 300 Highway 2 and is open Monday to Friday from 8:30 AM to 5:00 PM. The Encana Events Centre is equipped with Automatic External Defibrillators (AED) located in various locations throughout the venue. Designated employees, in addition to our medical services providers, have been properly trained and certified to use the AEDs. For the safety of all Encana Events Centre guests, aisles are to be kept clear at all times. Guests are not permitted to dance, linger, sit or stand in Encana Events Centre aisles. There are ATMs on Each floor of the Encana Events Centre; one in the Lower Lobby, 2 in the Upper Lobby, 2 on the Concourse, and one on Suite Level. Patrons are asked to make their requests ahead of time by calling a representative at 250-782-7440. Baby changing stations are located in 4 restrooms on the main concourse in each corner of Encana Events Centre. There are additional changing stations located in the Upper Lobby, Lower Lobby restrooms, Suite Level restrooms. All bags (camera bags, purses, backpacks, etc.) will be subject to search upon entering the Encana Events Centre. Please have your bag ready for search before you get to the Security Check to accelerate the process. This is to ensure everyone’s safety, we appreciate your cooperation and smiles. Banners and signs are welcome at Encana Events Centre as long as it does not disrupt the view or experience of any other fan and the content is tasteful. Banners and signs are subject to search and may be confiscated if messages are inappropriate. Banner poles and sign sticks are not permitted. This is subject to change depending on the event. Please contact Ryan MacIvor at [email protected] or 250-795-3304 or Stafanie Chymko at [email protected] or 250-795-3334 to book your next event at the Encana Events Centre. The Tiger Box Office Plus is located inside the Encana Events Centre. Monday-Friday: 9:00 AM until one hour after show / event start time. Saturday, Sunday, and Holidays: 2 Hours Before Door Time until 1 hour after show / event start time. Professional cameras are NOT allowed inside the EnCana Events Centre. The definition of a professional camera is any camera that has a removable lens and/or a lens that is longer than three inches. The Encana Events Centre camera policy is subject to change for concerts and all other events at the request of the artist/performer/team. This policy will be strictly enforced and management reserves the right to deny any electronic recording devices at their discretion. Children under 24-months of age can access the Encana Events Centre without a ticket as long as they are able to sit on the ticket holder's lap and do not obstruct the view or comfort of other Encana Events Centre guests. Children aged 24-months and older require a ticket to access the Encana Events Centre. Please note that some shows (especially those intended for children) may have a differnt ticket policy that requires children 24-months and under to have a ticket. We love to hear from our guests! Any guest looking to provide feedback regarding their Encana Events Centre experience can utilize several avenues to ensure we are aware of your compliments, comments or concerns. During an event, guests can approach any Encana Events Centre member to provide feedback. Our Encana Events Centre team will use all reasonable efforts to resolve concerns quickly, efficiently and appropriately. Post-event, guests can provide feedback by visiting www.dawsoncreekeventscentre.com/connect-with-us/contact-us and using the Comments/Feedback section or contacting the appropriate department. There are four fixed concessions at the Encana Events centre. There is one located in each of the corners on the Concourse Level. There are also portable concessions that are located at sections 105, 107, 118, 120, two portables located on the floor and one in the Lower Lobby. The concessions are operated by Spectra Food Services and Hospitality. You can reach a representative of The Encana Events Centre by phone at 250-782-7440 and by e-mail at [email protected]. Typically, doors open 1 hour prior to event time, unless otherwise noted. There are two drop off and pick up areas; one at the Main Entrance to the Upper Lobby and one at the main entrance to the Lower Lobby of the Encana Events Centre. For your convenience, there is one central elevator located on all floors of the Centre which provides access to all three levels of the facility. For emergencies during an Encana Events Centre event, please find the closest employee or call 911. The main entrance for the general public for the Encana Events Centre is located on the South side of the building. Patrons may also enter at the North side of the building (by the pool). We value your feedback! There are many ways to provide feedback to the Encana Events Centre staff. Stop by the Tiger Box Office Plus during normal business hours, during an event, or call 250-782-7440 during normal business hours. Click here to email us your feedback! Please find a staff member for assistance. If you lost an item at an Encana Events Centre event, please call the Tiger Box Office Plus 250-782-7443 to claim your item. If you have lost a ticket to a future event, please contact the Box Office at 250-782-7440. There is parking on the North and South sides of the venue. Additional Overflow parking is located on the North Side of the venue. Platinum Seats - these are premium tickets to concerts and other events made available by artists and event providers through Live Nation. They give fans fair and safe access to some of the best seats in the house. The Platinum Seats program enables market-based pricing (adjusting prices according to supply and demand) for live event tickets, similar to how airline tickets and hotel rooms are sold. The goal is to give the most passionate fans fair and safe access to the best tickets, while enabling artists and other people involved in staging live events to price tickets closer to their true value. **Platinum Seats are not available for every event. Please contact us for details at 250-782-7440. Prohibited items include but are not limited to: BACKPACKS/OVERSIZED BAGS, AUDIO & VIDEO RECORDING EQUIPMENT, CAMERAS WITH DETACHABLE LENSES OR LENSES LONGER THAN 2 INCHES, OUTSIDE FOOD & BEVERAGE, BOTTLES, CANS, GLASS, COOLERS, HELIUM BALLOONS, ANIMALS OR PETS (EXCEPT ADA), LASER POINTERS, KNIVES, FIREWORKS, WEAPONS, CHAINS, SPIKES, TENTS, HELMETS, SELFIE STICKS, DRONES, E-CIGARETTES, CHEWING TOBACCO, CIGARETTES, CANNABIS, IPADS AND ALL TABLETS, OVERSIZED BAGS / PURSES LARGER THAN 14" X 14" X 6", DRUGS OR DRUG PARAPHANALIA, AND ANY OTHER ITEMS DEEMED DANGEROUS BY VENUE MANAGEMENT. We take your safety seriously. The Encana Events Centre enforces a no re-entry policy during paid events in the facility. Anyone leaving the Encana Events Centre during a paid event will not be allowed to re-enter the building. Any exceptions must be approved by the Centre’s Management or his/her designee. There are no refunds available for any Encana Events Centre event, unless otherwise specified by Encana Events Centre management. There are four restrooms located on the concourse level of Encana Events Centre, two on the suite level, one in the lower lobby and one in the main foyer. If you need security during an Encana Events Centre event, there are numerous staff in any location of the arena at any given time. Keep an eye out for blue uniforms or please go to the Box Office for assistance. Service Animals are allowed inside Encana Events Centre. However, we ask that all fans who plan on bringing a service animal to an event, please contact the Tiger Box Office Plus, 250-782-7443 so the Encana Events Centre staff can properly provide the best service possible. The Encana Events Centre is a non-smoking facility and smoking is not allowed. The Centre will no longer allow patrons the ability to use the smoking areas that were in place. Anyone leaving the Encana Events Centre during an event will not be allowed to re-enter the building. This policy will be in place for all events at the Encana Events Centre starting September 1, 2018. Those who wish to smoke or vape will need to do so before the concert and/or after the concert.​ Please CLICK HERE to visit our Frequently Asked Questions on the recent policy changes for smoking and security enhancements. There is no solicitation allowed at any Encana Events Centre event. Souvenirs & merchandise can be purchased at designated merchandise locations throughout the Arena. Strollers are allowed in Encana Events Centre; however, they will be stored away from your seat. If you are interested in renting a suite for a group please contact Tyler Lippingwell at 250-795-3308. This ticket is a revocable license. By purchasing, receiving or using this ticket, the holder, on behalf of the holder and any minor accompanying this holder (individually and collectively, the “Holder”), agrees to all of the terms hereof. The Holder agrees not to transmit, distribute, or sell (or aid in transmitting, distributing or selling) any description, account, picture, video, audio, or other form of reproduction of the event or any surrounding activities (in whole or in part) for which this ticket is issued (the “Event”). This ticket may not be used for any form of commercial or trade purposes without the express written consent of the City of Dawson Creek. Breach of any of the terms of this license, failure to comply with area rules, or the refunding to the Holder of the printed purchase price of this ticket, shall automatically terminate any right that the Holder may have hereunder; shall render illegal and unauthorized the Holder’s use of the ticket for any purpose; and shall authorize management to withdraw the ticket, refuse admission to the arena, or eject the Holder from the arena. The resale or attempted resale of this ticket is not allowed on the area property. Management reserves the right to change the date and/or starting time of the Event, and/or any artists or acts and no such change shall entitle the Holder to a refund of the purchase price. The Holder grants permission to Spectra Venue Management, the City of Dawson Creek and the promoter of the Event (and all their designees, licensees and agents) to utilize the Holder’s image, likeness, actions and statements, at the Event in connection with any broadcast or reproduction without further authorization or compensation. The Holder is prohibited from bringing or carrying bottles, cans or outside food or beverages in the arena. Management reserves the right to refuse admission to or eject any person whose conduct management deems disorderly, obnoxious or unbecoming. If ejected, the Holder forfeits all and any claims to refund or otherwise. THE HOLDER OF THIS TICKET VOLUNTARILY ASSUMES ALL RISK AND DANGER of personal injury (including death) and all hazards arising from, or related in any way to the Event, whether occurring prior to, during, or after the Event, howsoever caused and whether by negligence of Spectra Venue Management and/or the City of Dawson Creek. THE HOLDER HEREBY AGREES TO INDEMNIFY AND HOLD HARMLESS SPECTRA VENUE MANAGEMENT AND THE CITY OF DAWSON CREEK FROM AND AGAINST ALL CLAIMS, WHETHER DIRECT OR INDIRECT, RESULTING FROM OR RELATED TO ACTIONS OR INACTIONS OF THE HOLDER. The Holder and the Holder’s belongings may be searched upon entry into the arena, and the Holder consents to such searches and waives any related claims that might arise against Spectra Venue Management and the City of Dawson Creek. If the Holder elects not to consent to these searches, the Holder will be denied entry in the arena. Ticket resellers are not recognized ticket agents of the Encana Events Centre. Guests purchasing tickets from a private reseller, intentionally or not, risk being refused entry to the Encana Events Centre. The Encana Events Centre strongly recommends all guests purchase their tickets from the Tiger Box Office Plus, online at www.tigerboxofficeplus.ca, by phone at 1-877-339-8499 or in person at the Tiger Box Office Plus at the Encana Events Centre to avoid the possibility of counterfeit, stolen, void or invalid tickets. Ticket scalping is not allowed on the Encana Events Centre or the South Peace Community Multiplex property. Anyone trying to sell tickets on the property will be asked to leave the premises. Tours of the Encana Events Centre are available for groups of 10 or more by calling 250-782-7440. There is a water fountain located by the washrooms in the Upper Lobby of the Encana Events Centre for your convenience. Will Call is located by the main entrance next to the ticket windows. You must bring a picture ID and your confirmation number or credit card you used to purchase the tickets to pick up your tickets. Will call is open 90 minutes prior to event time until halfway through the event.